All Aboard to the North Pole! Make this a family holiday tradition, and call today to make your reservations (because space is limited to those who truly believe in the spirit of Christmas). The ride lasts a little over an hour, with the train leaving each night at 5:30 p.m. and 7:30 p.m.
TOTAL ROUND-TRIP TIME: Approximately 90 minutes. How do we get to Williams? Williams is located about 30 miles west of Flagstaff along Interstate 40. If you’re coming from Phoenix, take I-17 north to Flagstaff. As you get close to the city you can take I-40 west to Williams. Look for Exit 163, exit and go south on Grand Canyon Blvd about a 1/2 mile. The property will be on the west side of the street. From Phoenix, the trip is about 2 and a half hours, but could take a little longer depending on weather conditions.To learn about current driving conditions, visit ADOT’s website with up-to-date conditions. If the roads are closed near Flagstaff, consider taking I-17 north and exit at Cherry Road on Highway 169 toward Prescott, which will eventually merge with Highway 69. Drive through Prescott and look for Highway 89 going north through Chino Valley. You’ll end up on I-40, just west of Williams. Simply make a right on I-40 and travel about 19 miles until you see Exit 163. Once we arrive in Williams, where do we pick up our tickets? 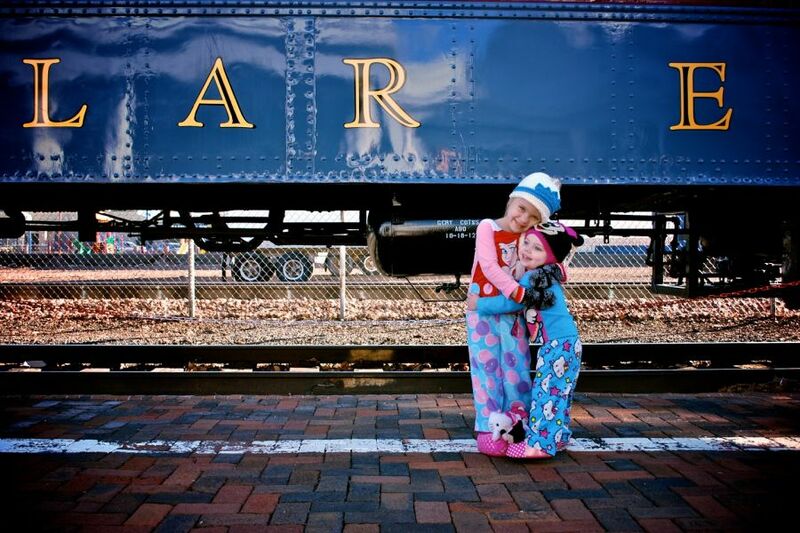 Train Only guests’ tickets will be available at will-call inside the historic Williams Depot. Polar Family Package guests can pick up their train and meal tickets upon check-in at the hotel. The guest who was responsible for payment will need to present a photo I.D. to receive train tickets. How far in advance of our departure should we arrive? 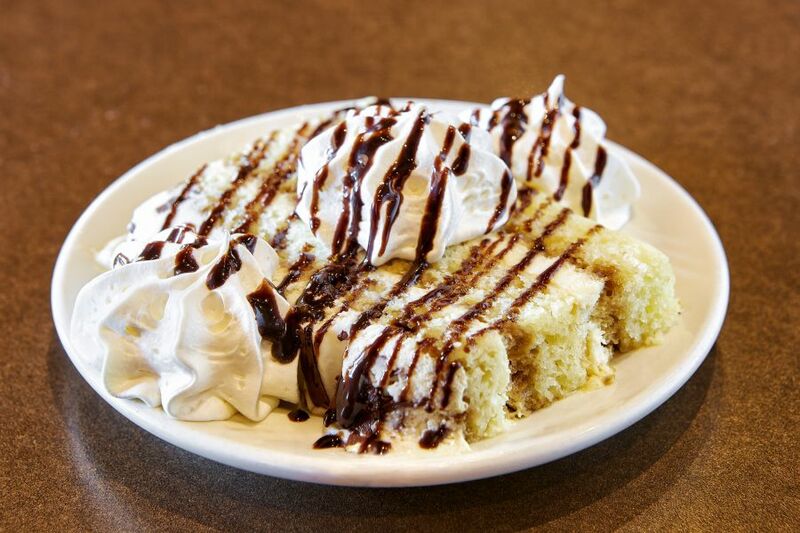 We recommend arriving at least one hour before departure. This should provide enough time to pick up tickets at will-call and be ready to board The Polar Express. The train will begin boarding 15 minutes before departure. You can certainly pick up your tickets earlier. Tickets will be available at noon (12:00 PM) on the day of your departure. 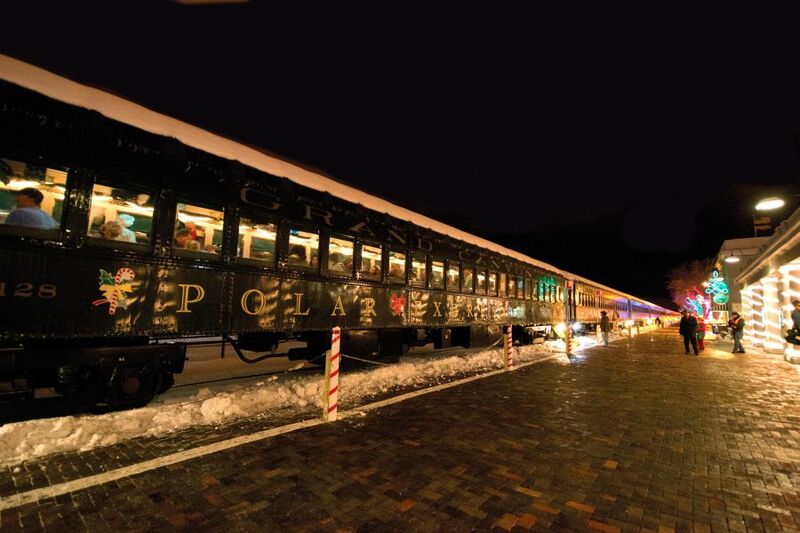 The Grand Canyon Railway Hotel is conveniently located adjacent to the Williams Depot. 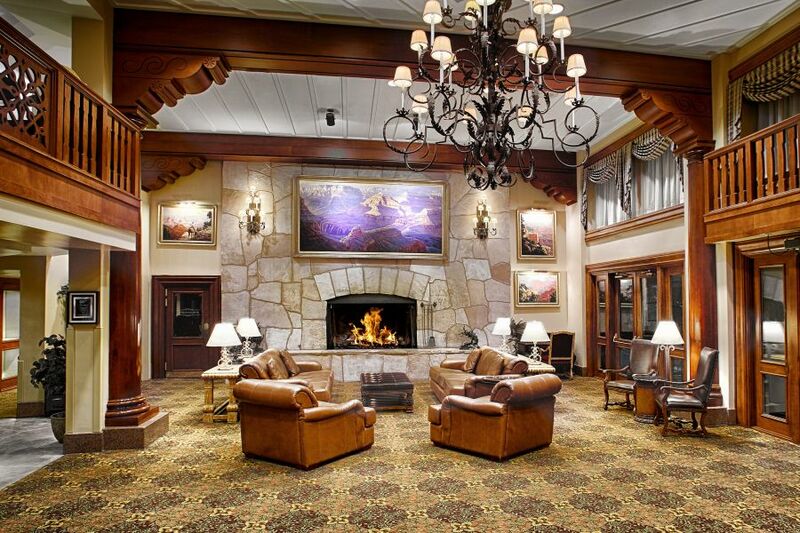 You can begin checking in at the hotel at 3:00 p.m. Upon check in you will be issued both your train and meal tickets. 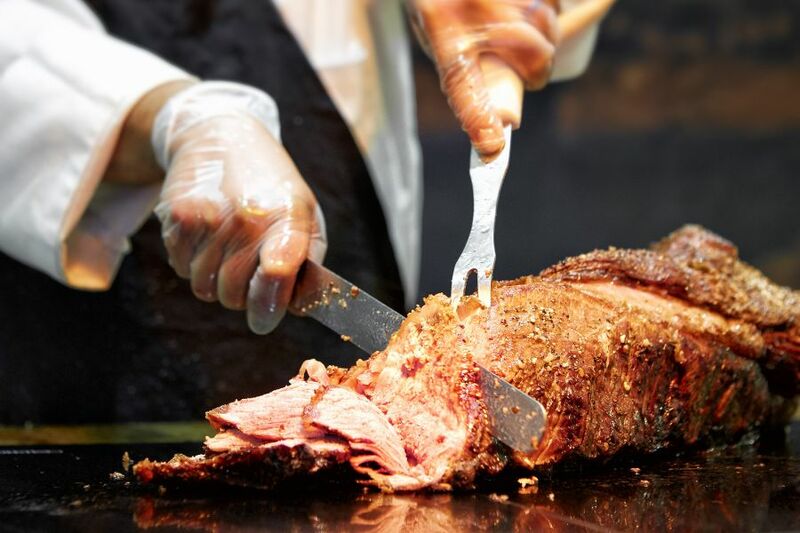 Dinner and breakfast at the Grand Depot Cafe, also located next to the hotel, is included in your package. If you’re on the 5:30 p.m. departure, we recommend arriving to Williams around 4:00 so you can check-in, pick up your train tickets and have plenty of time for dinner. What can we bring with us on the train? The passenger cars have luggage racks near the ceiling so feel free to bring coats, diaper bags, camera bags, backpacks and anything else you need. Even though the cars have luggage racks, we recommend only bringing what you really need on the train. Strollers can be parked outside the depot. There is a limited amount of space in the vestibules (between the cars) on the train, but we recommend parking strollers by the depot as there are plenty of covered areas. Also, all families are encouraged to bring their own copy of The Polar Express by Chris Van Allsburg to read along to the story during the journey. Brand new copies are available for purchase at the Depot and Fred Harvey Restaurant Gift Shops. Seats on board The Polar Express are bench-style, with two passengers per bench. Booking seats in even numbers is strongly recommended. If your family is traveling with another family on a separate reservation and would like to be seated together, please contact Central Reservations at 1-888-848-3511. 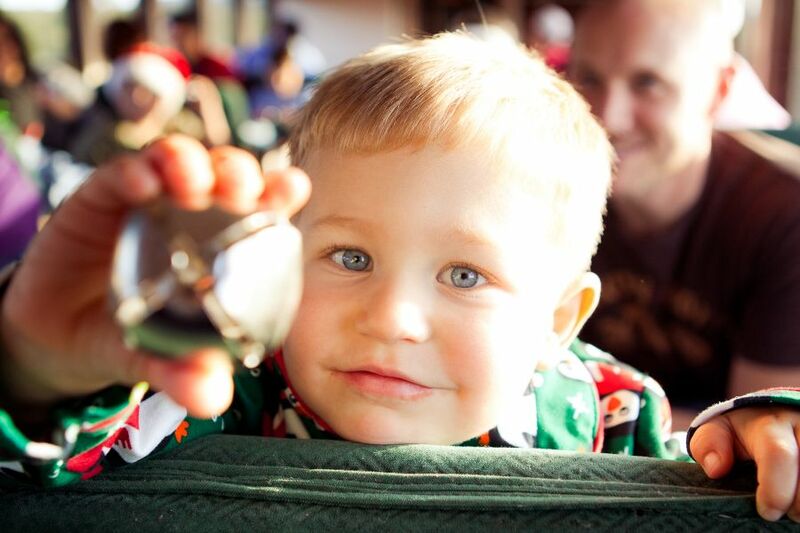 While we do our very best to honor all seating requests on board The Polar Express, we cannot always guarantee them. What else is there to do in Williams? 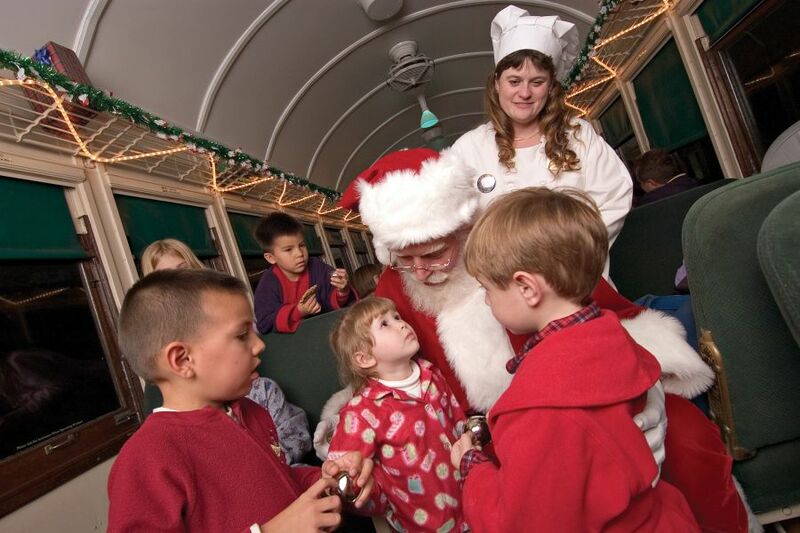 Other activities at Grand Canyon Railway include story time with Mrs. Claus and pictures with Mr. C in the Polar Room. Also, have your kids stand on the patented Naughty or Nice Meter™ to see if they might be expecting a lump of coal in their stockings! In between the Depot and Railway Hotel, enjoy the always entertaining Light-O-Rama, a holiday lights spectacular synchronized to your favorite Christmas tunes. Be sure to visit with our staff Elves and Hobo, who will be wandering around the Platform throughout the evening. In fact, if you’re around the Hobo’s campsite 45min prior to departure you might see him sharing some hobo wisdom with Polar Express passengers. I have a package with meals - what are the hours of the Grand Depot Cafe? During Polar Express, the restaurant will be open for dinner from 3:30 p.m to 9:30 p.m. Breakfast will be open at 6:30 a.m. to 10:00 a.m. 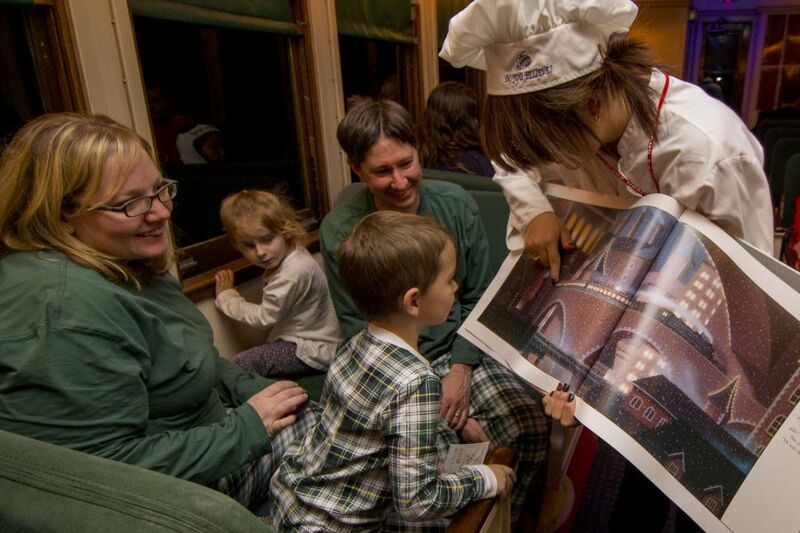 The full buffet is available during Polar Express nights, as well as special desserts made just for the holidays! No alcoholic beverages are permitted aboard The Polar Express. 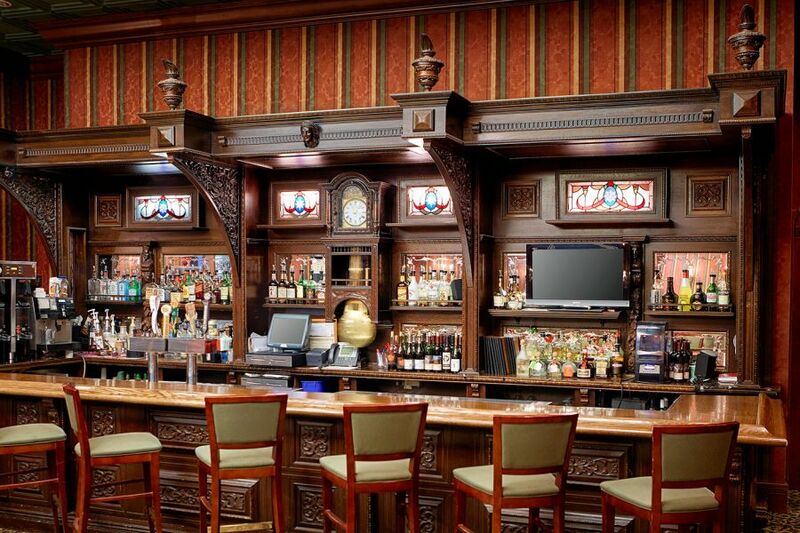 Adult beverages are available at Grand Depot Cafe and inside the hotel at Spenser’s Pub. 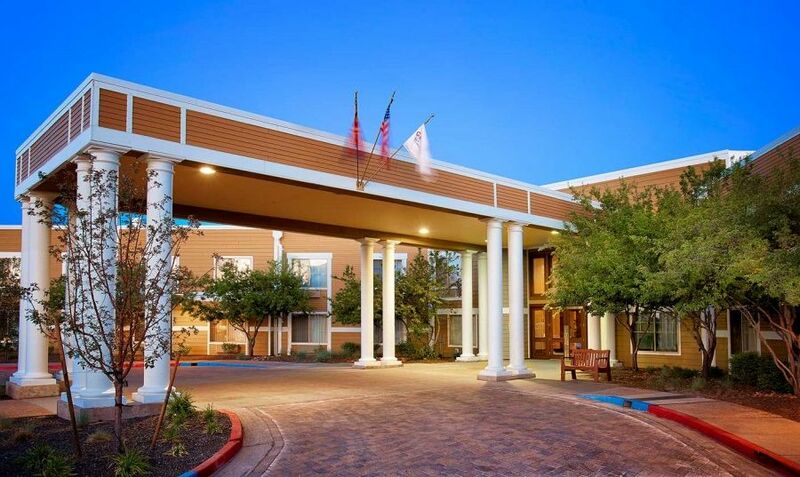 Parking is free and is available around the hotel and depot complex. There is a parking lot east of Grand Canyon Blvd. as you enter the Railway’s complex as well as parking west of the hotel. You may want to budget a few minutes extra to find parking as there will be as many 3,000 people on property. 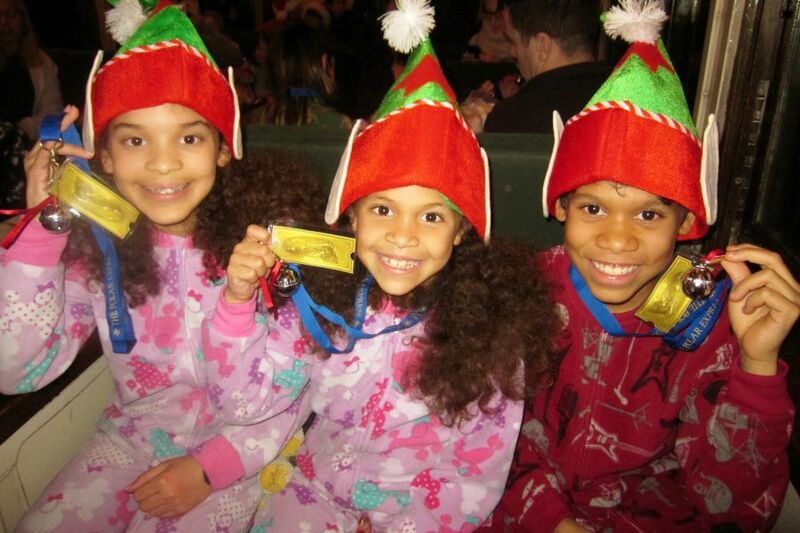 If you represent a non-profit organization that serves disadvantaged or disabled children in Arizona, please click here to request an application for up to 50 complimentary tickets to The Polar Express, departing at 7:30pm on Friday, November 8, 2019. The deadline to submit applications is September 30, 2019 and recipients will be notified by October 7, 2019. 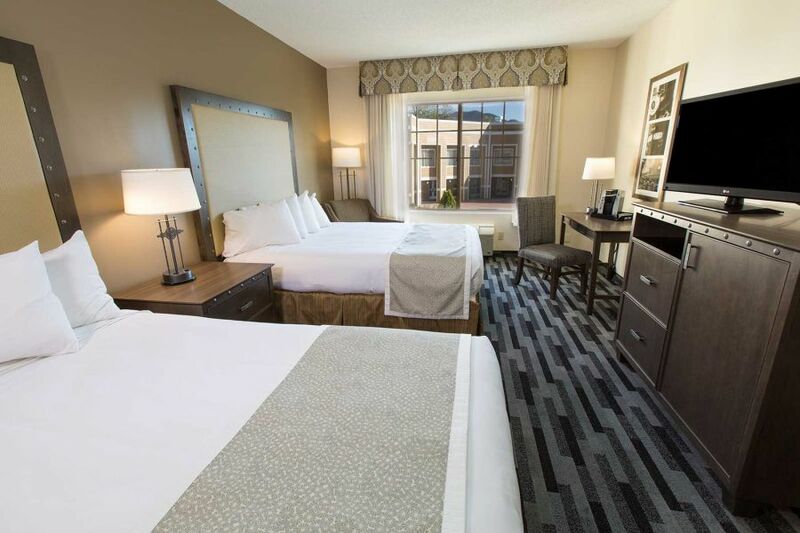 Hotel package rates are based on adult double occupancy, and do not include tax. Train-only tickets are per person, and prices do not include tax. Valid for travel from 11/09/19 – 1/06/20. Rates subject to change without notice. 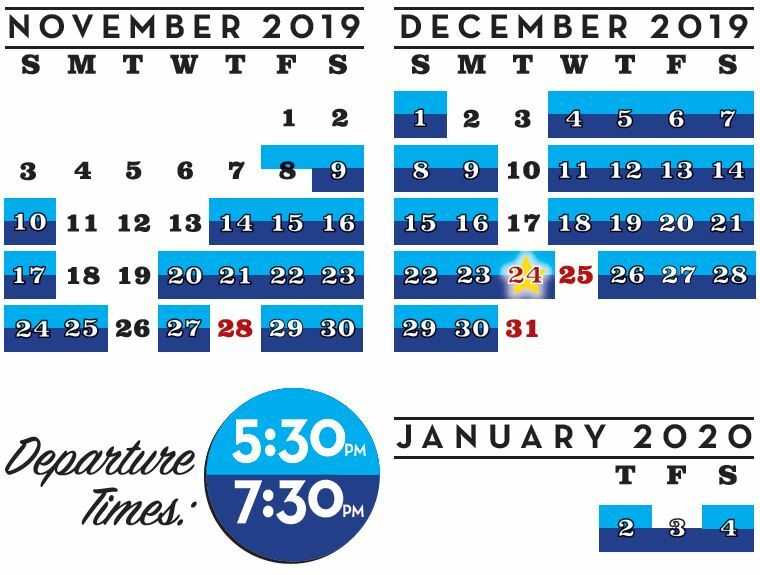 Cancellations for Polar Express train only reservations are non-refundable, and cancellations for Polar Express packages are subject to a 50% cancellation penalty. Cancellations are considered to be a reduction to the number of guests or a cancellation of the entire reservation.